// Use shortcode in a PHP file (outside the post editor). We’re hosting 420 Specials on our Marijuana Business Planning Tools. Learn details here. Marijuana, also referred to as cannabis, is currently the fastest growing industry in the United States of America. While there are hundreds of ways to get involved in the industry, marijuana licenses to grow, sell and/or create marijuana-infused products have become the most coveted vertical in the industry. 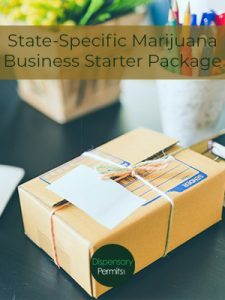 If you are interested in getting involved in starting a marijuana business but don’t know where to start, follow our steps below to find out if you are a candidate to operate a medical marijuana facility in your State. States often have different license types outlined in their program legislation, rules, and regulations. In order to determine what type of business you want to open, we’ve outlined some of the most popular license types below. These types of business are often referred to as “Plant Touching” businesses. Did you know? In order to operate a marijuana business, you must be licensed by your respective State, in some cases you will also have to be licensed by the city or jurisdiction your facility is located in. Cultivation/Growing: Cultivates, dry, trim, or cure and package marijuana for sale to a processing or dispensary/retail facility. Read more about How To Start A Marijuana Grow/Cultivation Facility. Processing/Manufacturing (Infused Marijuana Products): Obtains marijuana from authorized licensed facilities and extract resin from the marihuana or creates marihuana infused product for sale and transfer in packaged form to a dispensary/retail facility. Dispensary/Retail Facility: Purchases marihuana from a cultivator or processor and sells, supplies, or provides marijuana to registered qualifying patients/caregivers or customers. Read more about How To Start A Dispensary/Retail Facility. Distribution/Delivery: Transports marijuana between licensed marijuana facilities or from a licensed dispensary/retail facility to patients/caregivers/customers within the operating state. Applicants need to understand that each State has different laws and regulations. For example, some states have thousands of medical marijuana businesses and some state have limited numbers. In addition to understanding marijuana laws and regulations, we suggest doing your due diligence to figure out if your state is accepting applications for licensees or not. Meaning, many licensing processes are done through a Request for Proposal or Request for Application process during specific dates, times, years. Learn about your state. Fun Fact: New York only awarded 5 Medical Marijuana Business Licenses, while Denver, Colorado has more Medical Marijuana Facilities, than Starbucks. After determining your State is accepting applications and educating yourself on Medical Marijuana Program Rules and Regulations, follow the steps below to begin preparing for your Marijuana Application. When looking for a viable location for your facility, you must consider state and city zoning laws for your type of business. Most zoning laws will require you to be at least 1,000 ft from a school, church or daycare center. For more real estate best practices, set up a consultation with one of our industry experts. Suggestions for individuals: Entrepreneurs, Medical Professionals, Compliance/ Regulated Industries, Community Liaison and Marijuana Industry Experience. Consider establishing a diverse team (Veteran/Women/Minority Owned Businesses) as states have been implementing diversity bonus points in their program. You will need to consider State/City Application fees to apply for your marijuana business license, state required proof of funds, professional services (realtor, legal, architect, consultant etc.) are just a few costs you will incur during an application process. Our Downloadable Application Guide, roughly 50-pages, is designed as a detailed summary and checklist of all the action items you will need to complete prior to submission. From team building activities, financial modeling, inventory control, patient education, to real estate selection, to local lobbying and/or community efforts. Topics include Bill/Act/Law Recap; Organization Registration; Fees Schedule; Requirements, Prohibitions & Penalties; Marijuana Business Licensing Info (Dispensary, Cultivation, Processing, etc. ); Program Timeline; Required and recommended Team Members; Real Estate Tasks; Financial Planning and Projections and More. Our State Bundles include all of our available Business and Operations Plan Templates that are applicable to the state’s application process. All included template plans have been drafted from successful license application material and designed with subject-matter experts. All of the template plans are vertically integrated and not specific to any geographic region. You will be responsible for customizing the template plans to fit your market, business and state laws. 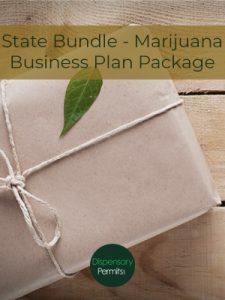 Our Downloadable Dispensary Business Plan Template is around 50 pages in length and is a comprehensive business plan that every entrepreneur interested in opening a dispensary and/or cultivation facility must have. 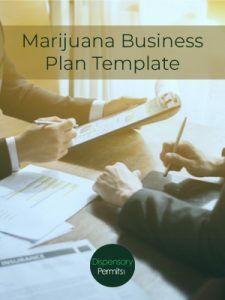 This business plan is an essential document if you own or are going own a medical marijuana dispensary and/or cultivation facility. This business plan is also vital if you are applying for a dispensary permit or are interested in obtaining funding. 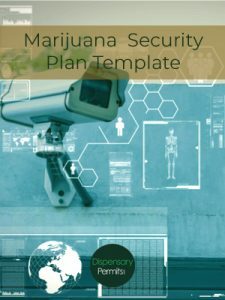 Our Downloadable Dispensary Security Plan Template is around 25 pages in length. We have developed a comprehensive cultivation and dispensary Security Plan for the protection of your equipment, inventory, products, and more importantly, your people. There are added security challenges that medical marijuana facilities face, so our Security Plan considers many policies, procedures, and systems that provide sufficient protection.